Buying furniture for your child’s room can be quite expensive, and that’s why I’m always on the lookout for fun and durable pieces sold at a low cost. Over the last few years, I have noticed that ‘Back To School’ time is a great time to purchase and decorate your child’s room. 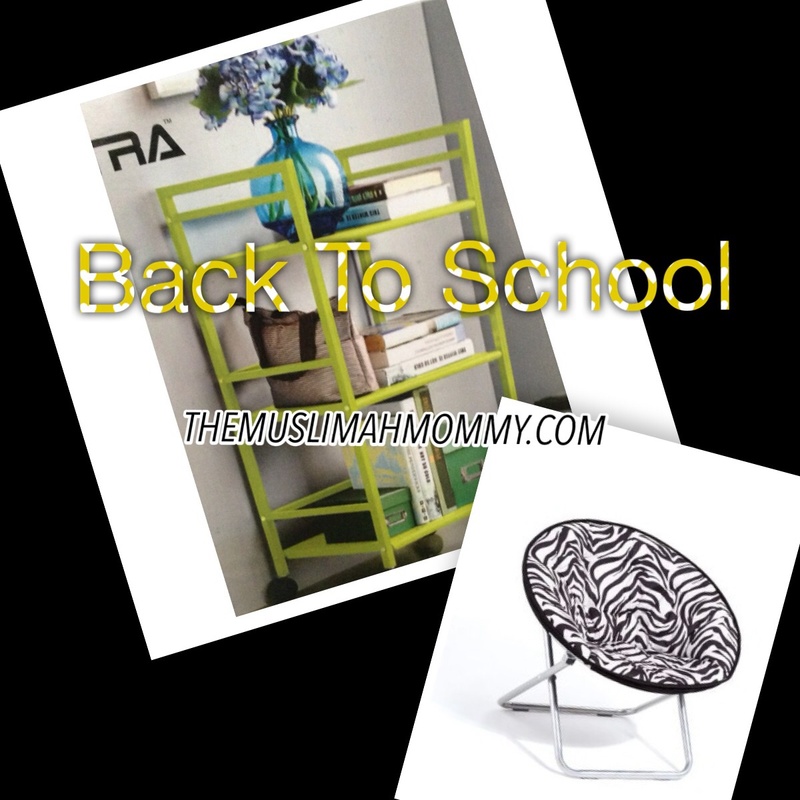 ‘Back to school’ furniture usually translates to furniture for college and university students and that, in turn, translates to fun funky pieces at a low cost – SCORE! I actually purchased a black moon chair (similar to the zebra print chair in the picture above) for my son’s room that was advertised as a chair perfect for the dorm room. It’s a very sturdy chair for a child, and I have no doubt it will become a great reading spot for my son in the next few years! What’s more is that the fabric on the chair is the very durable and easy to clean microsuede! I should also mention that the chair was a great bargain, as I purchased it just after all the ‘back to school’ hype was over and the store was getting rid of all their ‘dorm room’ furnishings. More recently, I bought this green rolling cart for my daughter’s room. As soon as I saw it in the ‘back to school’ furniture section, I instantly thought ‘bookshelf!’ The best part is that it’s made out of metal, so it’s durable; and it has wheels, AND it’s the perfect size to fit into her not-so-large bedroom! So, parents be on the lookout during the ‘back to school’ season for furnishings that have the potential to be a perfect fit for your child’s room.